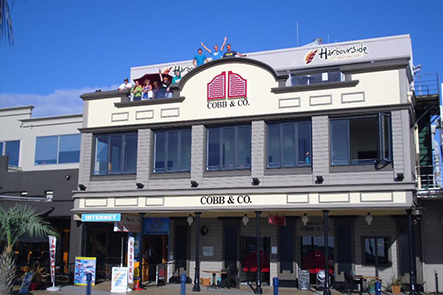 Harbourside City Backpackers is a 4 star Qualmark rated hostel located right on the waterfront - its all about LOCATION! We are the centre of town, amongst bars and cafes, we are the most central Tauranga backpackers accommodation and only 10 minutes drive to the famous Mount Maunganui surf beach, voted the BEST in New Zealand! We have a huge balcony looking straight into the harbour with amazing views, a relaxed atmosphere and we are friendly, safe and social! There's a huge kitchen, laundry, bag storage, TV room with 100's of free DVD's, free wifi (limited), free bikes, and FREE job placements.. We have dorms (female only available), twins and doubles all with or without bathrooms. We can cater for the individual or large groups and ONLY 1 minute walk from the bus station. Travel and activities can be booked, - bus tickets, Swim with Dolphins, Hobbiton tours, surf, kayak, rafting, and plenty more!! 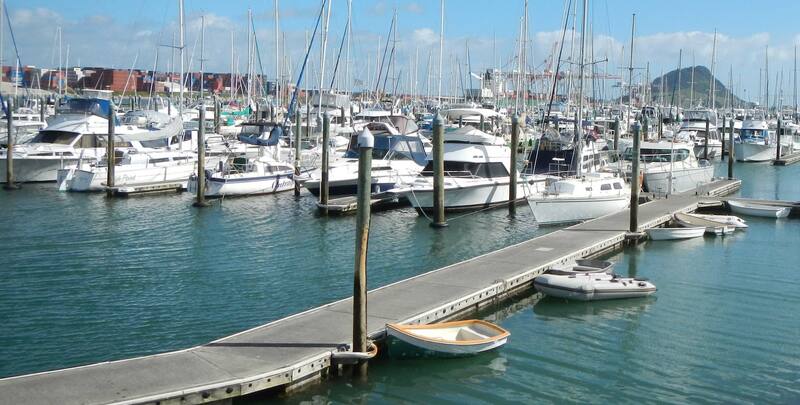 We want to show you how beautiful Tauranga and Mount Maunganui is - they don't call it the Bay of Plenty for nothing! Weekly rates and assistance with seasonal work is available. Kiwifruit season runs April - Sept though work is available all year round. In the summer months it is easy to find jobs in the bars and cafes, we have been placing backpackers in jobs for 14 years so agencies and local businesses call us first! Tauranga is definitely a great place to base yourself for a while, come and experience the beauty of the Bay of Plenty yourself! All bookings require credit card details to secure the accommodation. We have a 24-hour Cancellation Policy, so if your plans change, you MUST call and cancel/amend your booking at least 24 hours prior to your day of arrival, or you will be charged for the first nights accommodation. Photo ID is required.